New research from the “State of the Connected Customer” report shows that customers' attitudes about data sharing are changing. More consumers are willing to give their data to trusted companies in exchange for personalized experiences. However, many marketers aren't yet equipped to capitalize on this new data-sharing attitude. 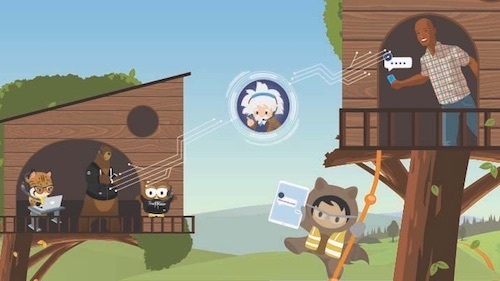 Salesforce Research surveyed more than 7,000 consumers and business buyers to understand what makes the modern customer tick. The world is hyperconnected — but how is this connectivity shaping customer expectations and the resulting demands put upon companies? The batch-and-blast method doesn’t work on connected customers. In fact, when evaluating purchases, customers give almost equal weight to a company's personalization as they do to reputation. Fifty-eight percent of consumers say a personalized experience is very important when purchasing from a company, compared to 59% who say the same for buying from a well-respected or well-known brand. In other words, a connected customer's propensity to buy = your brand + level of personalization. If customers don't receive the level of customization they expect, they won't hesitate to shop around. More than half (52%) of consumers are somewhat likely to switch brands if a company doesn't make an effort to personalize their communications to them. Customers know that companies need more of their data in order to deliver personalized experiences — and a majority are now on board with that. Fifty-seven percent of consumers say they're willing to share personal data in exchange for personalized offers or discounts. Additionally, consumers will share personal data in exchange for product recommendations that meet their needs (52%) and personalized shopping experiences (53%). Customers also increasingly expect companies to anticipate the products they need next. Nearly two-thirds (62%) of consumers say it's acceptable for companies to send personalized offers/discounts based on items they've already purchased. Still, collecting and leveraging customer data to deliver a truly personalized experience poses a challenge for many marketers. In order to deliver the level of personalization that the connected customer expects, marketers need more intelligent technologies. The “2016 State of Marketing” research revealed that many of these technologies are underutilized. For instance, 49% of high-performing marketing teams say they extensively use predictive intelligence, while only 5% of underperformers say the same. Predictive intelligence tools make it easier for marketers to track customer behavior and use insights to create highly personalized interactions. Top marketers are 3.6x more likely than underperformers to strongly agree that predictive intelligence and data science are important to their overall marketing strategy. 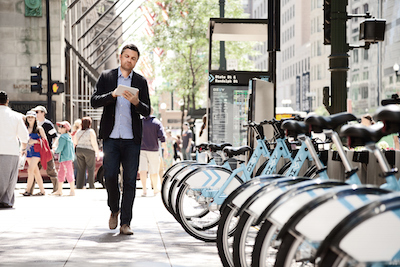 These smarter tech types are also breathing new life into established channels. High performers are 7.2x more likely than underperformers to extensively use web personalization. Top teams are also 4.2x more likely to leverage predictive intelligence or data science to personalize emails to customers. 3. They embrace data-driven decisions to quickly adapt to changing consumer needs and perceptions. 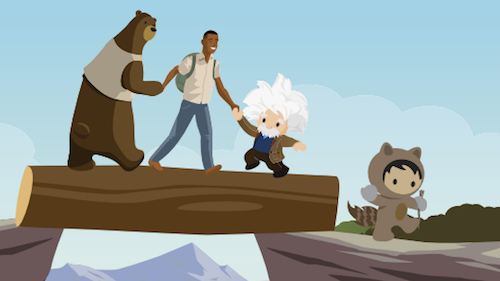 Today, companies that treat customers with awareness and intelligence — and put the customer experience at the center of their business strategies — are the ones blazing a trail to success. Get the full “State of the Connected Customer” research report now.